Whitehall Farm Accommodation01328 738416work01328 730937fax FarmhouseSituated three miles from the North Norfolk coast on the edge of Holkham Park, Whitehall Farm is a working arable farm where Barry and Valerie Southerland welcome guests for a stay you will want to repeat, with full facilities and ample parking. Situated three miles from the North Norfolk coast on the edge of Holkham Park, Whitehall Farm is a working arable farm where Barry and Valerie Southerland welcome guests for a stay you will want to repeat, with full facilities and ample parking. 2 miles off the B1355 at North Creake from Fakenham. 2 miles off the A149 at Burnham Overy. 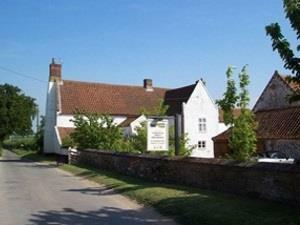 2 miles from Burnham Market off the B1155 (Kings Lynn).